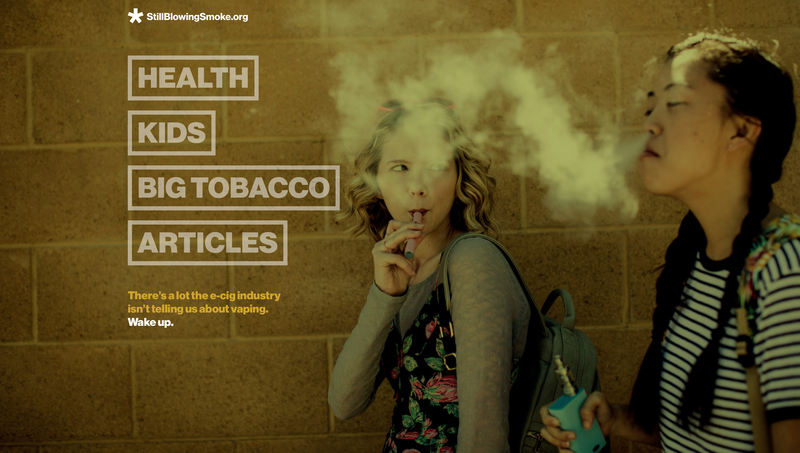 The State of California is educating citizens about the potential perils of vaping nicotine with “Still Blowing Smoke”, an integrated advertising campaign designed to wake people up to the long term effects of e-cigarettes. 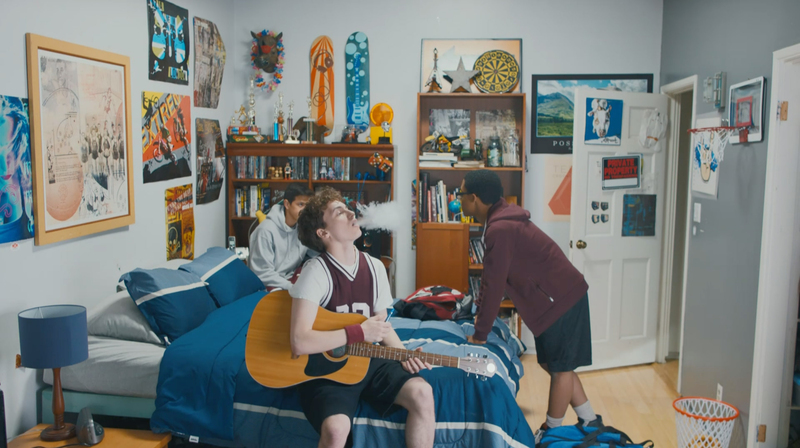 The California Department of Public Health Tobacco Control Division is focusing on young people with a commercial, “Gonna Gotcha”, two new digital videos, an updated website (StillBlowingSmoke.org) and a new outdoor campaign. Vaping is the newest way for kids to start smoking. Research confirms that teens who use e-cigarettes are three times more likely to smoke traditional cigarettes one year later. Parents are urged to ‘wake up’ to the reality that e-cigarettes aren’t harmless, and pose a serious threat in creating the next generation of smokers. Two commercials, “Kids Aren’t Alright” and “What could go wrong”, were launched in March and May 2015. The Still Blowing Smoke campaign was developed at Duncan/Channon by creative director Anne Elisco-Lemme, associate creative director/copywriter Jessea Perry Hankins, art director Christina Chern, art director Jessica Wyatt, designer Jennifer Kellogg, executive broadcast producer Christine Gomez, integrated producer Keenan Hemje, senior digital producer Eric Kozak, chief strategy officer Andy Bergenfield, brand strategist Adam Flynn, director of communications planning Leslie Diard, group director of communications planning Carrie Parent, communications planning supervisor Paulo Delacruz, communications planner Kelsey Bucsko, group account director Jamie Katz, account supervisor Rachel Young, account executive Davis Wolfe and Mike Euphrat, working with CA Dept of Public Health communications media strategist Valerie Quinn, media chief Frank Ruiz, senior financial analyst Sandra Soria, media specialist Julie Lautsch and media analyst Erin Reynoso. Filming was shot by director Kyle Alvarez via Chelsea Pictures with director of photography Dave Morrison, art director Ryan Leegate, production supervisor Tamika Miller, partner/executive producer Allison Amon, executive producer Jonathan Gribetz, head of production Adam Guliner, line producer John Bick, animator Jessica Wyatt, compositor Mark Everson, editor Doug Cox, associate editor Stu Barnes and post executive producer Jim Vaughan. Colourist was Adam Scott at The Mill. Music is Blondie hit “One Way or Another”, written by Nigel Harrison and Deborah Harry, published by Monster Island Music/BMG Monarch (ASCAP) c/o BMG Rights Management (US) LLC, supervised at Blue Scout Music. Sound was mixed at One Union by sound engineer Joaby Deal. Photography was by Sean Murphy with agent Kayt Fitmorris, producer Robyn Breen Shinn and videographer Nick Giomuso. Website production was developed at Noble Studios.